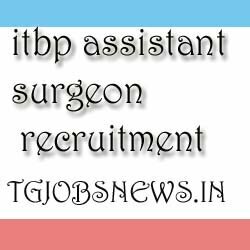 itbp jobs recruitment has given the notification for the itbp assistant surgeon. Candidates who are interested and willing for the itbp vacancy jobs can apply for the job after reading the particulars. And here, itbp recruitment online application submission starts on 05/02/2019. And itbp recruitment notification closes on 06/03/2019. Read the notification once or twice. If you are confirmed that you are eligible for the itbp notification then you can go to the direct website link Click Here. If you are unable to read the full notification then here it is a simple way. We have already given the details of the post. The details which we have given are very easy to understand. So go through it. The candidate should have the Degree in Veterinary Science and Animal Husbandry with the Physical or Medical Standards. Rs.400/- for the General and OBC candidates. And there is no fee for the SC or ST or Female Candidates and other aspirants. The selection is done on the basis of test, and PET ( Physical Efficiency Test), PST (Physical Standard Test).